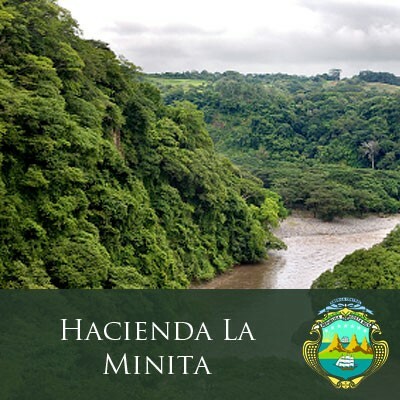 Aficionados of Costa Rica Tarrazu will love our “Hacienda La Minita” estate Tarrazu coffee. This fine coffee has good body and aroma. Grown on steep hillsides overlooking the Tarrazu River, our Costa Rican Tarrazu coffee is tended with loving and expert care through all stages of cultivation and processing by Bill McAlpin. We are committed to providing only the best Costa Rican coffee. When you buy from J. Martinez & Company, you will always receive pure, top or premium grade Costa Rican coffee beans. Costa Rica possesses an ideal environment for growing coffee, especially the region overlooking the Tarrazu River, known for its superior coffee beans. The mountainous terrain, rich volcanic soil, ideal climate and adequate rainfall of the Costa Rica Tarrazu region all contribute to a superb specialty coffee. Costa Rican coffee is generally known for its mildness, balance, and bright acidity. The coffee industry in Costa Rica followed a very different path than that of neighboring countries. In other parts of Latin America, large coffee plantations were common, owned by proprietors who did not actually work on their estates or spend much time there. In contrast, Costa Rican coffee farms tended to be smaller, tended by proprietors who both lived and worked on their land. The lack of labor compared to other countries led to a focus on quality over quantity. Although the excellent quality of coffee from this area was quickly recognized, the direction of the industry was dominated for some time by a focus on brands created by the large mills which processed coffee. The recent focus on estate and single origin coffees, however, has benefited the individual farmers and elevated the quality and craftsmanship of coffee in Costa Rica. Bill McAlpin’s focus on excellent cultivation and processing has made our "Hacienda La Minita" of the Tarrazu region famous. A very fine cup of Costa Rican Tarrazu coffee, characterized by its full body, sweet aroma, and great acidity that makes it finish cleanly on the palate.